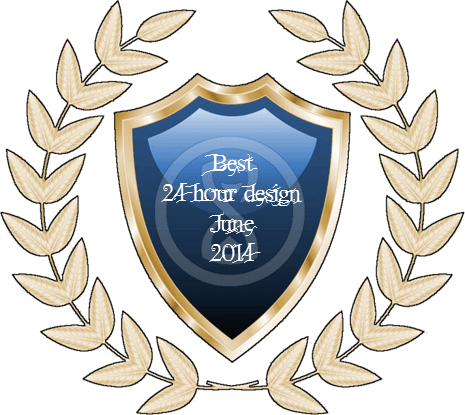 June's 24 hour game design contest (details see here 24 hour contest and here 24 hour contest - June 2014) has been a tough challenge for the participants. Below you will find their games. Please do take a look at each of them and thumb the one you liked best. The games are sorted by their appearance in the month's corresponding thread. A cut-throat competition between supernatural beings for control of Cromlyn Hall. If you like Mega Tokyo, but you want a little more skirmish development with your dice, check it out. Players take on roles as Ghouls, Other, Traitors, Hunters, Imps and Creatures in their bid to control Cromlyn Hall, the finest Gothic mansion for miles around. Eliminate the competition or be acknowledged as first in class to win. It’s a new school, a new chance to start over, and a new group of popular girls. Last time they made your life a living hell, but this time will be different. This time you have friends. This time you have a plan. This time you will have your revenge. Use your schemes to take down the popular girls, but be careful to keep your popularity up since none of your schemes will work if you run out of popularity. But popularity is just a means to an end, when the game is over your popularity will work against you. In order to win you must undermine the credibility of the popular girls. For every point of credibility that they lose you gain one gothic credibility of your own. The player with the most credibility at the end wins the game! 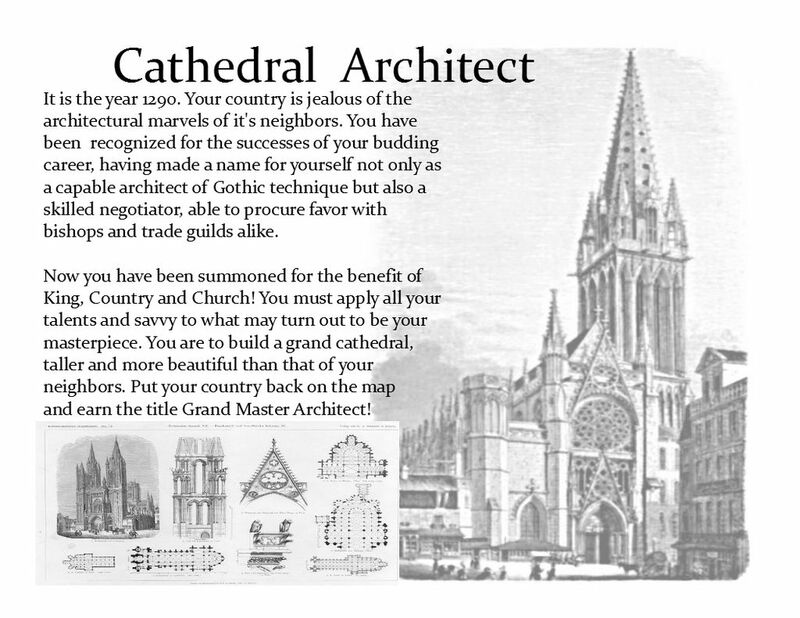 A sinister solo storytelling game where you play the villain in a gothic novel. After years of meticulous manipulation, your plans are finally complete. You are so close to your goal you can taste it. And then they arrive. Those who plan on thwarting you. Perhaps they did not mean to be heroes. But now they stand in your way. And that is unacceptable. You must stop them before they can derail your dastardly plot! There are two ways to win. One is to cause the heroes to faint enough times that they are removed from the game. This maximum number of faints that can happen to each hero is listed on each hero card. The other way is to get the Plot Tracker to 10. This means you have achieved all your nefarious deeds! Select two heroes randomly. They are trying to thwart you. Each hero has one item card. Select two items for yourself. Also give yourself one Dastardly Deed. Set the Plot Tracker to 3, since you have already set your plans in motion. 1) A new Environment card is chosen. The new Environment card dictates the weather and location of the scene. The confrontation happens between the hero and the villains. The confrontation tallies the points the villain has from the environment, and any item or Dastardly Deed cards that they have in play. Only one item may be used during a confrontation by the villain. Likewise, the heroes tally any confrontation points from the environment, any item cards or their personal card. Each hero confronts the villain, one after the other. So one hero confronts the villain first, and tallies their points, then the second hero does the same. The points for the two heroes are not tallied together. Any hero that is made to faint is out of the Confrontation - this is not a win or a lose, but is counted as a tie. In the case of a tie, neither hero nor villain wins or loses. The heroes win if the number of confrontation points they have is more than the villain. If the heroes win, remove a plot point from the Plot Tracker. If the Plot Tracker ever gets below 1, the villain loses. The Kingpin died suddenly, it's the opportune moment to eliminate all other Bosses and take the throne yourself! The Assassins are In Town, and they have no allegiance. They will kill - anyone - for the right price, the highest price. Components: 15 cards per player + 18 Assassin cards + one A4 playmat. Eliminate all other players by placing hits on others while avoiding hits on yourself. You have two generals who will take bullets for you, but lose them, and you're sleeping with the fishes. 1. Each player has two face-up General cards, depicting their life in the game. 3. There is a deck of Assassin cards, and four places for Assassins. 4. Each turn, one Assassin is In-Town, depicted by an In-Town token. The token moves to a different Assassin each turn. In this example, the player is Ms English, and has placed a hit on player B (Ms Bauss). (You can tell because B isn't in the hand, it's the face-down card. The resolution will happen when the round ends and everyone reveals their cards. 3. Each turn, each player first plays one card face up in turn (so player 1 first, then 2, then 3, etc), and then each player plays a second face-down, in turn. Money + Assassin = Place a hit on an Assassin. The highest individual bidder hires one Assassin to kill another, and you get all money the killed Assassin holds. Assassin + Boss = Tipoff - if the Boss you targeted has placed a hit on the target Assassin, the Assassin avoids death and gives you his money. Money + Boss = Place a hit on a boss - If the Assassin In-Town is still alive, he will perform a hit on the Boss with the highest Hit placed on him in total. Money + money = Protection money - give protection money to whomever comes to kill him and is safe for this turn. If he outpaid the Assassin's hit money, the Assassin will even turn on the original bidder. Assassin + Assassin = Threaten - Playing off the two assassins' inactivity against each other - they both get paranoid and give up their money to you. Boss + Boss = Recruit - if both bosses has placed a hit this turn, you use the information of conflict and recruit a new general - if you're not out of the game already. Each of the Assassins have quirky abilities that change the game in their own way, as Assassins enter and leave play your strategies may have to adapt around them! Print one copy of pages 2-3 per player playing. 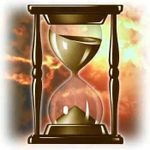 (up to 5 players) The rest you only need one copy of. Send me a geekmail if you'd like to buy a copy! A burning torch falls upon the damp rock of the crypt where you, Fortunato, are now trapped after being lured with the promise of Amontillado. As Montresor forces the final stone into place, there is a faint ring of metal hitting the floor. Now you face a race against time to find the key that Montresor dropped inside your tomb before the air runs out. This is a solitaire game with memory as the main mechanic. As you search for the two key tiles, you must balance your other traits as best you can in order to give yourself the best chance to escape and survive. The only additional components needed would be markers for each trait category and to track your movement on the tiles. In the picture above, I'm using some Trivial Pursuit pieces. Play as a stake happy vampire hunter trying to get the most staked vamps in to claim a victory. High Stakes is a game where players try and defeat the most vampires using “stake” cards. Vampires appear out of a “nest” deck in the middle of the table and players must draw and use stake cards to defeat them and collect them into their score pile. other players can out bid a player attempting to kill a vampire by having a higher stake count. Players need to defeat all the vampires without letting themselves get overwhelmed. 1. Vampires are revealed for the number of players. 2. All players place their stake cards face-down on a vampire card of their choosing. 3. Stakes are revealed and vampires are defeated and collected. 4. Remaining Vampires are mobbed if matches exist. 5. All players draw back up to 5 cards, or discard down to 5. These rounds continue until all vampires in the deck are defeated, at which point the player with the highest point count wins, or all players lose if visible vampires strength value ever exceeds 20. This user loves Easter eggs. In 1880 the town of Gothic Colorado was established when silver was discovered on nearby Gothic Mountain. 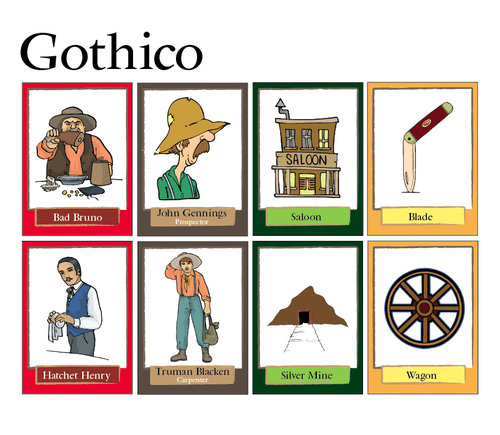 Prospectors rushed to Gothic in hopes of striking it rich. The town was booming with thousands of people cashing in. Soon, Gothic was infested with low life murderers we came to Gothic to steal and kill the newly rich. You are faced with the Dr. Jeckle and Mr. Hyde experience set in a beautiful mountain mining town of the old west. As a townie you are trying to avoid your own demise. As a murderer you are trying to eliminate the kind citizens of Gothic. When the lights go out for your townie and your murderer, so do you.